Minnesota’s legal system performs reasonably well. Business litigators surveyed in 2015 ranked Minnesota 13th in the nation at producing fair and reasonable justice. While Minnesota’s legal system has historically performed well, their system has become less competitive in the last three years and there are a number of reforms that would further boost economic activity. 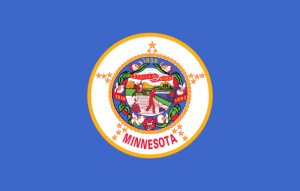 Minnesota is in need of rationalized judgment interest rates and a guaranteed right to appeal a class action certification. NERA Economic Consulting completed a study quantifying the economic impact of passing a bevy of lawsuit reforms. According to the report, passage of a complete package of lawsuit reforms could increase employment in Minnesota between 0.45 and 1.21%.